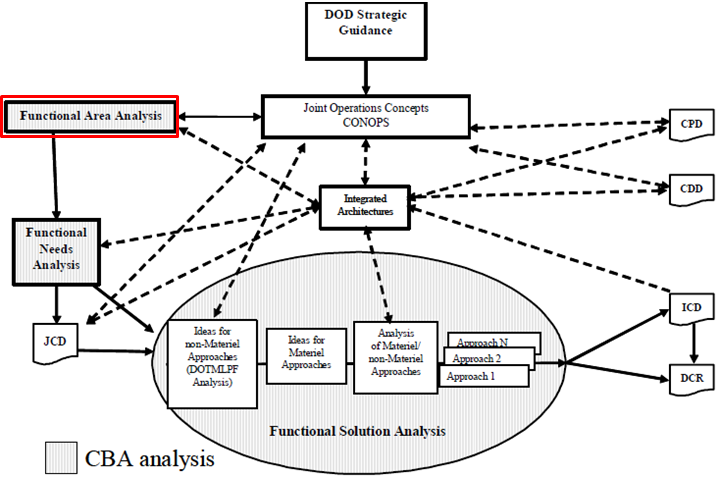 The Functional Area Analysis (FAA) identifies the operational tasks, conditions, and standards needed to achieve military objectives. The FAA uses the national strategies (National Military Strategy, National Defense Strategy, National Security Strategy), the Family of Joint Future Concepts, and other assigned missions to arrive at a prioritized list of capabilities and tasks that must be accomplished by all functional areas to achieve these military objectives. The FAA is rolled up under the Capabilities Based Assessment (CBA). Does the FAA accurately portray the mission, function, or concept to be assessed? 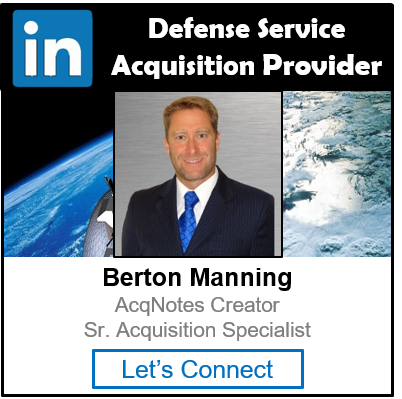 Does the FAA employ a set of relevant scenarios and military objectives? Do the conditions, as expressed by the scenarios, cover the breadth of the defense strategy and reflect current DOD priorities? Does the scope of the FAA address the issues but still allow the assessment to be done in a responsive amount of time? Are the desired capabilities directly linked to the military objectives of the scenarios? Does the task structure support a concise depiction of the military objectives and doctrinal approaches? Is the task structure flexible enough to accommodate approaches envisioned in applicable concepts or Concept of Operations (CONOPS)? Are the standards derived from both the strategic guidance and the attributes in the Capstone Concept for Joint Operations (CCJO)? Are the evaluation criteria associated with the standards broad enough to allow subsequent analysis of the trades between effectiveness, cost, and risk? Does the FAA identify the timeframe when the capabilities are required? Does the FAA identify the Tier 1 and 2 JCAs applicable to the capabilities identified? The current CJCSI 3170.01H does not reference an FAA. It rolls it up under a Capabilities Based Assessment (CBA). You have to view previous versions of the 3170 to get a description of a Functional Needs Analysis (FNA) and FSA. The next step is the Functional Needs Analysis (FNA).